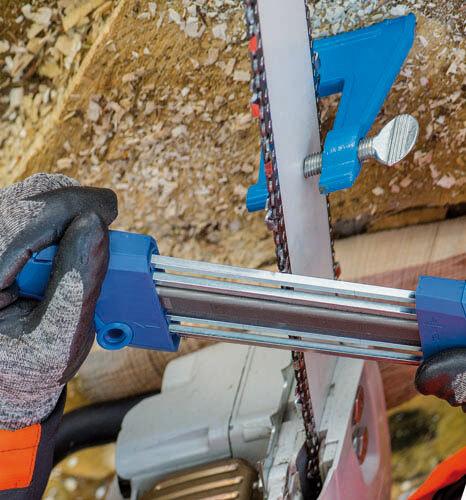 The CHAIN SHARP CS-X saw chain sharpening system from PFERD assures precise and optimum results with every use, and guarantees longer saw chain service life when used regularly. The CS-X features improved file position for easy right-angle cutting, optimized shape for easy handling, and includes files to condition both the tooth and depth-gauge in one easy operation. The tool is available in five types, each of which is adapted to various chain pitches. CHAIN SHARP CS-X is designed for user comfort and consistency, with symbols and arrows directing proper use for novice users, and a design that assures you get the correct filing angle every time. When you want to switch from sharpening left teeth to right teeth, simply flip the CS-X over. No more time consuming conversions! 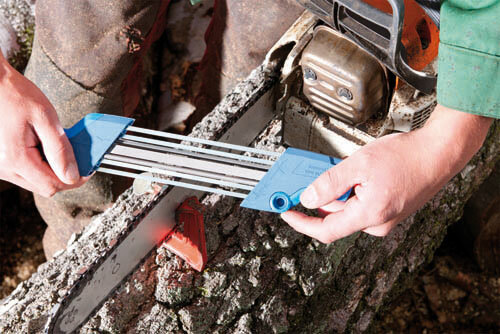 Manual sharpening saves costs, can be done right at the worksite, and removes less material than mechanical sharpening. 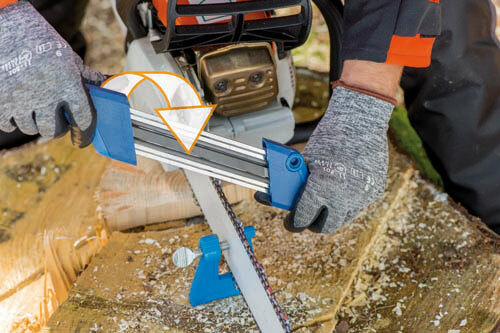 Choose PFERD’s CHAIN SHARP CS-X sharpening file for your application, and extend the life and effectiveness of your chainsaw. Comes complete with files and instructions. Standard round files work with this guide.